The Board of Governors of JewishGen is pleased to announce that Sarina Roffé, a respected family historian and journalist, has been elected unanimously to a position on its Board. Sephardic and Mizrahi Jewish genealogy and is a recognized authority on the history and culture of Aleppan Jewry. Ms. Roffé is the Executive Director of the Shehebar Sephardic Center in New York, NY, a nonprofit organization that fundraises for its rabbinical training program in Israel, and support for schools and outreach centers in more than sixty cities worldwide. Following her election, Rand Fishbein, Ph.D., a member of the Board's search committee, commented, "The Board could not be more delighted to welcome Sarina onto the JewishGen team. We will be looking to her for fresh ideas on how to expand our programming and online resources in Sephardic genealogy. Her knowledge and experience are sure to prove invaluable as we look to expand our outreach activities." JRI-Poland is Key Resource for Gwyneth Paltrow Episode of NBC's "Who Do You think You Are?" Actress Gwyneth Paltrow’s ancestral search, told in a new episode of NBC’s “Who Do You Think You Are?”, might not have happened if not for Jewish Records Indexing-Poland (hosted by www.JewishGen.org). The next episode of the documentary series features Academy Award-winner Paltrow’s search. The U.S. born daughter of producer Bruce Paltrow ("St. Elsewhere," "The White Shadow"), her roots go back to a long line of rabbis named Paltrowicz from northeastern Poland and the towns of Suwalki, Lomza and nearby shtetls. The show’s researchers were able to tap into JRI-Poland’s online database as the starting point in documenting Paltrow's ancestry. The website has 90 record entries for Paltrow's ancestors and the WDYTYA team said "JRI Poland is a wonderful resource for anyone researching Jewish Polish ancestry and was invaluable during the research for the Gwyneth Paltrow episode." Founded in 1995, JRI-Poland was an outgrowth of Montrealer Stanley Diamond's need for access to Jewish vital records of the former Lomza Gubernia area of Poland for research into his family’s genetic history. Diamond is Executive Director and the organization has a global board, hundreds of volunteers serving thousands of researchers, funded by groups and genealogists around the world. JRI-Poland is creating searchable on-line indices of Jewish records from current and former territories of Poland. The vast database of records going back to the late 18th century belies the misleading notion all the Jewish records of Poland were destroyed in World War II. The searchable database has indices to 4.2 million records from more than 550 towns, with thousands added every month, vital records and censuses from the Polish State Archives and other sources both inside and outside of Poland. The database also includes army draft lists, cemetery burial indices, ghetto death records, birth, marriage and death announcements in newspapers in Poland, and more. JRI-Poland has been recognized by the medical and scientific communities for the potential benefit for Ashkenazic families trying to trace medical histories, particularly those at increased risk for hereditary conditions and diseases. As a result of statistical analyses indicating a high incidence of medical and genetic abnormalities in individuals of Polish-Jewish descent, JRI - Poland is creating a finding aid for those who may need answers to medical-related questions or require bone marrow or other transplants. Because of this, JRI-Poland has received commendations from the Gift of Life Foundation and the National Marrow Donor Program. On Monday, March 21, 2011, the United States Holocaust Memorial Museum [USHMM] (Washington D.C.) launched "Remember Me?," an international campaign that will engage the public by asking them to help the Museum identify 1,100 children who were orphaned, displaced, or separated from their families during the Holocaust and World War II. tools to enlist the public's help in piecing together information about the children's wartime and postwar experiences, and facilitate renewed connections among these young survivors, their families, and other individuals who were involved in their care during and after the war. The "Remember Me?" campaign will also serve to increase awareness about the Museum's Survivors and Victims Resource Center and the services it provides to Holocaust survivors, their families, and other victims of Nazi persecution. www.ushmm.org/rememberme , which features a gallery of images and makes it easy for the public to submit information they might have about the children pictured there. As the Museum offices learn more about each individual, the associated Web site bio will be updated. The pictures, which come from the Museum and other institutions, were taken after the war by relief agencies in hopes of reuniting the children with their families. 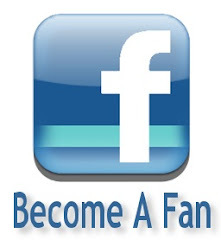 Please visit the site and share it with your friends and family using the social media tools provided (Facebook, Twitter, etc) . My father, Berl Olswanger, was a wonderful storyteller. When he died in 1981, I longed to hear his stories again about growing up in the 1920’s in the neighborhood of Goat Hill in Memphis, Tennessee. Maybe I couldn’t hear his stories again, but I could learn more about the background of his stories and who his parents and grandparents were. That was when I started genealogical research. I went to St. Louis, where my grandparents had lived before coming to Memphis, and discovered through synagogue records, wills, and newspaper articles that my great-grandparents Elias Olschwanger and Dora Sacks had arrived in St. Louis from Varniai, Lithuania; that Elias had taught Talmud in the Beth Hamedrosh Hagodol synagogue; that he had given money to help Jews in Europe suffering in World War I; and that when he died, he had left a tzedakah box for what was then Palestine. From his ship's passenger list, I discovered that he, and later his sons, then his wife and daughters, had each come to this country with one piece of baggage. Those early years of genealogical research deepened my connection to Judaism. I decided I wanted to learn more about the religious traditions of my ancestors. I wanted to become observant and say kaddish for them because no daughters or sons remained alive to preserve their memory. And, I wanted to publish my research about my ancestors for my own family and for other researchers. So, in 1983, I published the first issue of the Olschwanger Journal, a magazine that included interviews, documents, photographs, letters, family news, a yahrzeit list, and a family directory. The magazine won a Certificate of Award at the first International Association of Jewish Genealogy Societies (IAJGS) Conference in Jerusalem, Israel. After publishing the second, and then the third issue, of the Olschwanger Journal in 1993, I began to lose my enthusiasm. I was finding the research tedious and I had become bored spending long hours in front of microfilm readers in libraries and in public records offices. Those pre-computer days meant that collecting the information and editing it for publication were time-consuming and expensive. Still, I wanted to continue to pay tribute to the ancestors I had discovered through my research. It occurred to me to write a children’s book about them. I had started my writing life as a playwright, so I could have written a play about them But during graduate school, when I was pursuing an MFA in playwriting, I went to London to try to find a group of actors to write for. While I was in England, I made a trip to one of the university towns and visited a large bookstore (this was before Borders and Barnes and Noble). Wandering throughout the store, I found myself in the children's book section. There, I discovered picture books and between the covers of each book were the script, costumes, lighting, and stage set, everything in the theater that I thought I had needed to produce a play. However, I didn't need a theater. My tribute to my great-grandparents could be a children's picture book. What would this children’s picture book be about? I had the kernel of my story in the second issue of the Olschwanger Journal, which I had published in 1984. That issue contained a reproduction of a Yiddish newspaper article about the attempted robbery of my great-grandfather’s kosher liquor store. What could be funnier than this for a children's book? Crooks, who left with less than they came with! From that Yiddish article, I created Shlemiel Crooks (not Shlimazel Crooks like in the article, as I suspected that "shlemiel" was a more widely known word). After adding the ghost of Pharaoh, the prophet Elijah, and a talking horse to the story, I was in business. I submitted Shlemiel Crooks to over one hundred publishers and subsequently, I received over one hundred rejections. Along the way, the magazine Young Judaean published the story and it won a "Magazine Merit Award" from the Society of Children's Book Writers & Illustrators, but no offer came from a book publisher. What I didn't realize at the time was that as I continued to research book editors and send out the manuscript, I was learning the children's book publishing business. In 2003, frustrated by all the rejections, I decided to self-publish Shlemiel Crooks as a miniature book for collectors. Almost immediately (the universe has a sense of humor), I received an offer from a publisher to publish Shlemiel Crooks as a children's picture book. The offer came from a small publisher in Alabama with, as far as I knew then, no Jews on its staff. This was not the big New York publisher I had been waiting for, but I said yes, and it turned out to be a happy choice. The book became a Sydney Taylor Honor Book, Koret International Jewish Book Award Finalist, and a PJ Library Book. It opened the door for me to visit schools where I met hundreds of students. It resulted in offers to adapt Shlemiel Crooks as a puppet show and as a musical for children. The musical, by the way, will take place in New York on April 10, 2011 in Merkin Hall at the Kaufman Center. Best of all, Shlemiel Crooks allowed me to pay tribute to my great-grandparents. Although I don’t have my own children to give their story to as a gift, the way my father gave his stories to me as gifts, I can give the story of my great-grandparents to any child who reads or hears Shlemiel Crooks. Because of the interest I developed in book publishing while submitting Shlemiel Crooks to editors, I moved to the New York area in 2000 and enrolled in the Certificate in Book Publishing program at New York University. In 2005, I interned with Liza Dawson Associates and soon joined the agency, where I now specialize in picture books like Shlemiel Crooks. I am delighted to have a job helping to bring children's books into the world. Writers can visit my agent page by clicking here. My genealogy journey isn't over. I put some pages of the Olschwanger Journal on the Web, so that I can more easily share my research of the family name with others. Also, a listing of family names associated with the Olschwanger family starting with the first of eight generations of Rabbi Yehoshua Olschwanger is available here. As a well-known musician in Memphis, my father, Berl Olswanger, had been dubbed "Mr. Music" by the local press. However, I never knew he had written music until I found over thirty blues and jazz compositions in his office file cabinet after he died. With the skills I've gained as a genealogy researcher, self-publisher, and website editor, I've been able to promote his music online, including on YouTube (below). My father started me on this journey, and it feels good to be doing something for him in return—promoting the music he created, and which could have been forgotten. All of us who do genealogy research know that joy of rescuing information and people from obscurity. So, genealogy has led me along many roads. It made me want to honor my ancestors, including my father and his music, and it led to gratifying careers as a children's book author and as a literary agent. Although it intensified my desire to have children and continue the line of my ancestors, it also deepened my sadness when that didn't happen. So, this year, I have gone in yet another direction and created one more website. Yerusha (Hebrew for "inheritance") is a website for Jews like myself, women or men past the usual childbearing age, who are childless not by choice and believe that they may never have children biologically or by adoption. I hope the site will bring these Jews together, both online and in the real world, to explore the meaning and experience of being a childless Jewish adult. I also hope that Yerusha will help these Jews find ways to create an inheritance for future generations. As for my own inheritance, I am still creating that. I know that it will have everything to do with my ancestors and genealogy, my father and his music, my Jewish heritage, and most of all, with stories. The following link on aish.com was given to me by Colin Plen and reveals a fascinating story. New to genealogy? Not sure how to begin? How to organize? What JewishGen has to offer? Best websites? Consider taking JewishGen’s Basic U.S. Jewish Genealogy course! This course focuses on U.S. immigrant ancestors and their immediate families. It includes 6 online text lessons which you can read/download at your own pace. The course is essentially a personal mentoring program through our online FORUM. Students post an ancestral branch, set goals for their research, and work one on one with the instructor. If you've researched census, manifests and vital records and still do not have information on your immigrant ancestors, please consider the Intermediate Course (Breaking Brick Walls in the U.S.). Once you have found names and dates and former shtetls for your immigrant ancestors, you might consider the Advanced course (Using JewishGen to FindYour Ancestral Roots). Students must be comfortable browsing the Internet and downloading files. To best utilize this class, we suggest students allocate 8-10 hours per week to read the lessons, sample the websites and interact with the FORUM. Tuition for Basic Genealogy is $80. Please visit www.jewishgen.org/education, read about the classes and their requirements, and click on enroll. The course fee is waived if you qualify for the Value Added Services having made a $100 donation to JewishGen’s General Fund within the past 12 months (the system will recognize you and will not ask for a credit card). 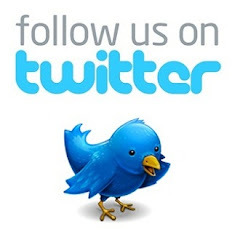 For questions, please email us by clicking here. I am pleased to announce that on Monday, August 15, DC2011 will offer a theater performance, performed by Theater J. Theater J is a professional theater company located in Washington, DC, founded to present works that "celebrate the distinctive urban voice and social vision that are part of the Jewish cultural legacy as a self-mission. Theaters in DC are dark in August, so we have brought a highlight of the Theater J season to our conference hotel for conference attendees to enjoy. In an attempt to maintain the feel of the home stage performances, seating will be limited to 400. Tickets are $12 each. This witty, smart, multi-generational family comedy, with moments of poignant self-revelation and awareness, takes place on a summer weekend at the parental home in Nantucket. Watch the fur fly as brothers play out old family dramas, mixed with contemporary angst, passion fueled by booze, compulsive Blackberry checking and disclosed secrets. Sam Forman's previous play was Helen Hayes Award-nominated, "The Rise and Fall of Annie Hall." You will be able to purchase the tickets on the DC2011 registration web site soon. Learn how to access online resources and databases in Israel to find your relatives. Overcome the language barrier with a lesson in basic Hebrew keywords and translation tools to help you deal with resources. This talk will help researchers of all skill levels deal with a vast array of sites to find information on individuals who were born, lived or died in Israel. Daniel was born and raised in Caracas, Venezuela and has a BS.c. in computer engineering. He was an educator at “Moral y Luces Herzl-Bialik” School where he was the computer instructor & teacher/director of the genealogy project "Searching for My Roots". competition: "My Family Story". He was a founding member of the Jewish Genealogy Society of Venezuela. In 2005, he made Aliyah and joined the Israel Genealogical Society (IGS). He is the webmaster for IGS and the Horowitz Families Association. Daniel serves as member of the board of the International Association of Jewish Genealogical Societies (IAJGS) and has lectured at IAJGS conferences and at local genealogy groups. Olswanger’s story takes place in the first decade of the 20th century. Not surprisingly, given the time period, the story is about Jewish immigrants in an urban setting in St. Louis, Missouri. Why St. Louis? Well, Anna Olswanger based her children’s story on real events. Olswanger is recreating and joyfully embellishing a real-life incident about her great-grandfather when his saloon was nearly robbed. In a short postscript in her book, she tells the reader that she only learned the names of her great-grandparents, Elias and Dora Olschwanger, when, in 1982 she “started to research her family tree,” which took her to St. Louis where they had lived. His name, address and phone number follow. What rich material! Anna Olswanger then took these details and from her imagination she has created a vibrant children’s book. An adult story – one about an attempted robbery – becomes a children’s story replete with a talking horse. The mention of “pesach’dik” mead in the ad inspired her to emphasize the Passover connection and her great-grandfather’s seasonal business of supplying wine to his customers for their seders. So, in her story, the crooks are stealing his Passover wine. The “almost robbed” makes all the difference. A potential tragedy turns into a comedy. The crooks are foiled, the wine saved. Enhancing the animated narration are the colorful drawings by Paula Goddman Koz, many of them full-page. Seen are the tenements where the wash is strung out across buildings. Another image is a re-creation of what the storefront of Reb Olschwanger’s saloon might have looked like with men, women, boys and girls dressed in period clothing, and yet another is of men studying Talmud. To hear more about how the author, Anna Olswanger wrote the book, listen to an interview by Heidi Estrin on The Book of Life Podcast. The podcast which provides information on Jewish books and other matters is sponsored by Congregation B’nai Israel of Boca Raton. The documents provided in Shlemiel Crooks would, of course, thrill a family researcher. They are “only” a business advertisement and a report of an “almost” robbery, but there is significant information to be gleaned. Reading these documents, Anna Olswanger would have learned not only what her great-grandfather did for a living, but that he was an enterprising business man serving his community and that he most probably spoke Yiddish. She would have found out his home and business addresses and phone number. She would also have noticed that he spelled his name differently from the way she spells hers. She also would have learned the names and addresses of several of his neighbors which indicate that he lived in a Jewish neighborhood. All of this is useful information. The following is an excerpt from the book which gives a real feel for the cadences of the narrative. In the middle of the night on a Thursday, two crooks—onions should grow in their navels—drove their horse and wagon to the saloon of Reb Elias Olschwanger at the corner of Fourteenth and Carr Streets in St. Louis. This didn't happen yesterday. It was 1919. Reb Elias, you should know, didn't have a sit-down kind of saloon with men coming in to guzzle whiskey when they should have been at home helping to fold the laundry. Oh, no! Reb Elias had the kind of saloon with housewives, grandmas even, coming in to buy bottles of wine and brandy, unopened of course and strictly kosher, for the Jewish Sabbath. He was the only one in St. Louis selling kosher wines back then. Listen, he sold kosher cognac too—that's a kind of brandy—and mead, which is made out of honey and goes down easy. And for the children, he kept in the back a barrel of pretzels with lots of thick salt on them. Meanwhile, the two crooks—potatoes should sprout in their ears—were stealing crates of Passover wine shipped special that year to Reb Elias on a boat from the Land of Israel. Reb Elias paid a little more—okay, he paid a lot more—for that wine. Usually he was buying his Passover stock from the Manischewitz family in Cincinnati, but after Mr. Balfour—excuse me, Lord Balfour—a big politician in England, promised to make a home for the Jews in the Land of Israel, Reb Olschwanger thought maybe they could use the extra business there. The Jews swatting mosquitoes shouldn't have only watery soup and a little goat's milk to drink. An interesting outcome of the publication of the book is that it has now been adapted for the stage as a children’s musical. The premiere of the musical version of Shlemiel Crooks will be performed by the Poppyseed Players on Sunday, April 10, 2011, in Merkin Hall, Kaufman Center, New York, NY. For more information on this performance, please click here. In conclusion, this Yiddish-inflected story with its accompanying documents is a delight to read. Anna Olswanger has truly honored her great-grandfather by writing a children’s book based on an incident from his life which helps us to experience aspects of early immigrant life in America. Not only that, the book is a delightful addition to children's literature for Passover. On Wednesday, March 23, there will be a free webinar sponsored by Legacy Family Tree with webinar speaker, Thomas MacEntee- who also presented the previous webinar Google for Genealogists and conducted the IAJGS Management Seminar at the 2010 IAJGS International Conference on Jewish Genealogy. Time for the webinar is: 2:00 PM Eastern (U.S.); 1:00 PM Central; 12:00 PM Mountain; 11:00 AM Pacific; 6:00 PM GMT. Space is limited. The webinar lasts for 90 minutes. It will be archived on the Legacy website after the live webinar and similar to the previous Legacy webinars, will be available for purchase on CD after the free archive time period. Mapping our Anzacs, from the Australian National Archives is a tool to browse 375,971 records of service in the Australian Army during World War I according to the person's place of birth or enlistment. You might not be able to find someone, if a person served in both world wars, for example, their WWI records might have been amalgamated with their WWII records. They have identified over 3000 cases where this occurred, and are working to link the information in Mapping our Anzacs with the relevant WWII records. Mapping our Anzacs was created in conjunction with the exhibition Shell-shocked: Australia after Armistice with the support of the Department of Veterans Affairs. The Registrar General for Scotland has announced that the 1911 census will be released on Tuesday 5 April 2011. The records will include the name, address, age, occupation, birthplace and marital status of everyone counted in the 1911 census, as well as details about their children. There is a cost to access the census. It will cost 1 credit to view an index entry, or 5 credits to view an image. The cost of 30 credits at Scotlandspeople is going up on 1 April from £6 to £7 . Shared experiences during World War II in the United Kingdom have produced many reminiscences and memories of that time. One of these, by former Brit Gerry Wiseman of Westminster, Maryland, is to be found both online and on YouTube. When I first found this four-part series on YouTube, it felt as it I was hearing my own mother’s voice again describing those times of Blitz (wartime bombings) and hardship. However, this was taking place in Pettycoat Lane, in the Jewish ghetto in the East End of London and not Manchester, England. Evidently, the experiences were of a similar and shared nature for many families during the war. The family of Gerry Wiseman was composed of his father Harry Wiseman, his mother as well as siblings brothers Norman and Toby and sister Hetty. He describes in intimate detail the life of the family during the war and includes his experiences as a child evacuee. 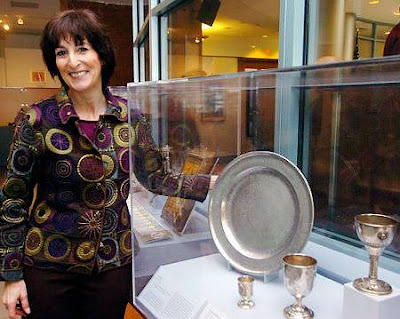 When a large, silver Seder plate was donated to the Derfner Judaica Museum in Riverdale in 2001, genealogist Karen Franklin, the museum's director at the time, knew she had to learn its history. "If it was looted, we had to give it back," she said. The story of the Seder plate would unfold in twists and turns over the next 10 years and it would join the long roster of Nazi-era items that have become Franklin's life work. Franklin has traveled the world tracking down art pieces and possessions stolen from Jewish homes in Germany during World War II. She returned Wenesday to the Derfner Judaica Museum on the campus of The Hebrew Home to share some of those stories. "Returning something that belonged to a family who lost it during the Nazi era is one the the most fulfilling things that I do," Franklin told a rapt audience of nearly 40 community members and Hebrew Home residents. In 2006, she was called on to find the heir to 12 paintings on display at the Jewish Historical Museum in Amsterdam. The museum had put on a special exhibit called "Looted, but from Whom?" It was the Dutch government's attempt to return the stolen items. Franklin managed to track down an engagement announcement online for a relative of the family who originally owned the paintings. Through her work, the family received about $300,000 in compensation. When a woman from Philadelphia donated the Seder plate to the Derfner Judaica Museum in 2001, Franklin had no idea it would spark a decade-long hunt that took her to Germany and Israel. It turned out that the plate was taken from a Jewish home by a German soldier, but under surprising circumstances. The soldier was married to a Jewish woman, who was the only survivor of her family. He rescued the plate and it was handed down through the family, winding up with the woman from Philadelphia, a distant relative to the soldier. "People ask 'Was it worth all that effort for a plate that couldn't cost more than $200?'" she said. "And I say 'It doesn't matter if it's worth $200 or $2 million. If you're returning something to a family member, it is priceless.'" We are pleased to welcome the following webpages to JewishGen ShtetLinks. We thank the owners and webmasters of these shtetlpages for creating fitting memorials to the Jewish Communities that once lived in those shtetlach and for providing a valuable resource for future generations of their descendants. Some of our shtetlpages were created by people who are no longer able to maintain them. We thank them for their past efforts and wish them luck on their future endeavors. GOOD NEWS!! As a result for our appeal for HTML volunteers we now have a team of dedicated people who will help you create a webpage for your ancestral home. Please contact us if you would like help in creating a ShtetLinks webpage. Susana Leistner Bloch, VP, ShtetLinks, JewishGen, Inc. Audio recordings and an Israeli transcript of interviews – previously held under lock and key – with Adolf Eichmann, one of the main architects of the Holocaust, have surfaced. Eichmann “did not hide his anti-Semitism” in the interviews, and talked about “transporting Jews to the slaughter,” said Dr. Irmtrud Wojak, founding director of the Munich Documentation Center for the History of National Socialism, during an interview with The Jerusalem Post on Wednesday. Wojak said Eichmann played down the lethal anti-Semitism of the Hitler movement during his trial in 1961, but talked openly about murdering Jews during the series of interviews conducted in the 1950s. A group of Jewish genealogists researching their Brody roots have created a long-overdue project to photograph, translate and index the more than five thousand headstones of the main Jewish Cemetery in Brody, Ukraine. This cemetery was in use from 1834 until 1939. Upon completion of the project all data and photos will be donated to JewishGen's Jewish Online Worldwide Burial Registry (JOWBR) and to Gesher Galicia for free searching by the genealogical community. To complete this work in a timely manner we need to raise funds quickly. A special page for online donations has been setup on JewishGen for this purpose. The project coordinator and photographer will survey the site to determine the extent of the work. Following the survey analysis, an on-site project coordinator and photographer will be hired and a few weeks later, the photography will commence along with the GPS mapping of the headstone's. Targeted completion date - May 2011. Transcribing/translating the inscriptions into the JOWBR format in English. This includes the given name, surname, and parent's names, Cohanim, Levi, etc. and date of death. If we have funding remaining from Phase 1, we will be able to hire transcribers, and the balance will be completed by volunteers. Targeted completion date - February 2012. The timing of doing the photography is critical: it must be done after the snow has melted and before spring growth begins. As you know, many residents of Vienna once lived in Brody or had families there. Many Galician towns cemeteries no longer exist or many of the headstones were destroyed. Brody is unique in that the matzevah's exist in the same place as the bodies were buried. For those interested in Galician history this is a unique opportunity to document what remains of an important part of Galician history. Jewish cemeteries throughout the world are threatened with vandalism and even extinction - the cemetery in Brody is no different. It is vitally important to preserve information about existing Jewish cemeteries so future generations will have knowledge of their Jewish family history and heritage, especially as it relates to members of their family who were murdered in the holocaust. More specifically, this project will help Brody researchers to create or fill gaps in their family trees, for when vital records no longer exist, cemetery records are often the only remaining evidence of a person's life. In addition, the material has the potential to be of broader interest to scholars and educators specializing in Jewish history and the Holocaust and specifically in the history of eastern Galicia and the town of Brody. Brody has a very interesting and compelling history that makes the city important not only to those who can trace their ancestral roots to Brody, but to others in that part of the world. The city was ideally located near the southeastern Russian border, had access to good oxen-roads, later supplanted by railroads, and developed into the most successful commercial center in Eastern Europe outside of Lemberg (Lviv). During the 19th century, Brody's Jewish population reached 88% of the city, was organized around the centrally located synagogue but its Jewish population decreased starting after 1880 and the mass migration out of Brody began. $100+ Donors: you will receive access to an Excel spreadsheet with all the information from the headstones collected that will be going to JOWBR in advance of the data being posted online. $250+ Donors: you will be given access to a password-protected site to view all of the cemetery photographs and the Excel spreadsheet. 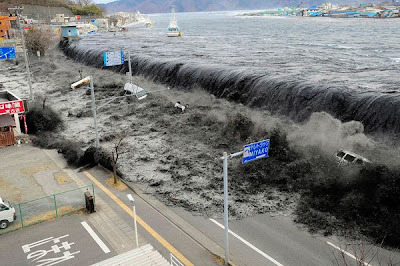 A tsunami wave crashes over a street in northeastern Japan on March 11. Our thoughts and prayers are with the people of Japan and with anyone who has been impacted by the Japanese Earthquake and Tsunami. Various organizations, such as Google, the American Red Cross, the Orthodox Union and Chabad of Asia, are organizing a massive rescue effort in response to the devastating Earthquake and Tsunami that struck Japan a few days ago. These organizations are in desperate need of funds to help provide basic necessities such as food, water and shelter. Please click on the links above to learn more how you can help with the crucial effort. Scotland's Cultural Minister announced on March 11 that effective April 1, 2011 the National Records of Scotland will begin work. The National Records of Scotland is the official merger of the General Register Office of Scotland and the National Archives of Scotland. This merger was part of the Scottish government's to streamline public entities. The two bodies already work closely to provide a service to family historians, both at the ScotlandsPeople Centre in Edinburgh and online at www.scotlandspeople.gov.uk. It was recently reported on this forum about the March 15 public meeting (not hearing) on the merger proposed by NYC Mayor Bloomberg of the Municipal Archives into the NY City Citywide Administrative Services. Steve Siegel, President of the JGS-NY has provided additional information. the Charter of the Department of Records and Information Services. The bill was introduced on March 2 and has been referred to the Committee on Governmental Operations. The names of the Committee members are available by clicking on the link with the committee name. With so many Jewish genealogists having roots in New York City this action is of interest to many of us as it effects the administrative branch that holds many vital records and other records of genealogical value . They are available at no cost. I don't know how long they will be available on the website so take advantage of these soon. Josh Taylor will be the speaker at the IAJGS Management Seminar (on a different topic than above) at the 2011 IAJGS International Conference on Jewish Genealogy, hosted by the JGS Greater Washington. Tom MacEntee was the IAJGS Management Seminar speaker at the 2010 IAJGS Conference hosted by JGSLA. Tom Mills, former Assistant Archivist for Regional Records Services, is the first Chief Operating Officer for the National Archives. Paul Wester, currently the Director of the Office of Modern Records Programs, is the first Chief Records Officer (CRO), leading and overseeing records management throughout the Federal government. It has been reported previously on this forum about thefts of artifacts from the National Archives--including the 44 Archives centers and the Presidential Libraries --the Presidential Libraries are one of the many responsibilities of the National Archives. The February 23rd article in the Washington Post describes the Archival Recovery Team finding taken artifacts in homes of former employees, researchers, and US historical documents items up for sale at auction--so far tips have helped retrieve 7,000 items. with over 10 billion items at the National Archives and no item-by-item inventory has ever been performed. The National Archives has posted two new senior executive positions: 1) Legislative Archives, Presidential Libraries, and Museum Services; and 2) Research Services. We are hoping that you can assist us in making sure that a diverse set of people are aware of and apply for these positions. The National Archives is seeking results-oriented executives to lead the provision of world class service to customers seeking access to Federal, Presidential, and Legislative records. Applications for both positions are open through March 15, 2011. The National Archives is committed to becoming the best, most customer-focused and innovative archives in the world. By joining our transformation, the successful candidates will be leading forces for this change. Additional leadership opportunities will be announced in the coming weeks. Services-Washington, DC and the Office of Regional Records Services. This consolidation fosters a cohesive, collaborative national program, oriented toward public access of Federal records, that relies upon collaboration of staff teams across geographic and unit-specific boundaries, and a formal management team uniting oversight of archival operations nationwide. Fundamentally, program priorities are founded upon new, formalized methods of listening to, identifying, and meeting customer needs. for Legislative and Presidential records. Vacancy Announcement #SES 11-02 for the position of Research Services Executive, ES-1420-00, has been posted on the USAJOBS website. The announcement opens February 23, 2011; closes March 15, 2011. Vacancy Announcement #SES 11-03 for the position of Legislative Archives, Presidential Libraries, and Museum Services Executive, ES-301-00, has been posted on the USAJOBS website. The announcement opens February 23, 2011; closes March 15, 2011. I have no further information on these two new positions other than what is included in the above notice sent to me for posting by the National Archives and the accompanying urls. Webinars are proliferating! And as genealogical societies we are the beneficiaries for so many that are available free. We all "market" to get members and this is a new and unique way for membership for them...but in the meantime if you are available when they are "live"--up to 1,000 attendees per session--you don't have to be a member of the SCGS. They are calling their new program: Jamboree Extension Series. To view the webinar, you will need a computer with audio speakers or a headset. No special software is necessary. Attendees with a fast Internet connection (either broadband or DSL) will likely have the most satisfactory experience. Jamboree Extension Series presentations will be scheduled on the first Saturday and third Wednesday of each month. Saturday sessions will be held at 10 am Pacific time / 1pm Eastern time; Wednesday sessions will be scheduled at 6pm Pacific time / 9pm Eastern time. http://www.scgsgenealogy.com/JamboreeExtensionSeries2011.htm. On that page, simply click on the link for the session(s) in which you are interested and complete the short registration process. Attendees will receive a reminder a day or two before the scheduled date of the session. email address in the right-hand corner of the page. I am not a member of nor affiliated with the Southern California Genealogical Society--although I do attend their annual Genealogy Jamboree I am posting this only for information on potential interest for genealogical societies. A new portal started today, March 4 for the Irish Archives Resource (IAR): http://www.iar.ie. The public may now search a wide range of Irish archives online. The IAR is funded by the Heritage Council of Ireland and is supported by the Archives and Records Association (Ireland). http://www.nationalarchives.ie/genealogy/beginning.html where members of the public can consult a professional genealogist about sources relating to their family history. Many of the collections listed on this portal will contain information of interest to genealogists and family historians. Items such as rental ledgers, wages and salaries books and employee records can often contain references to people whose lives have otherwise gone largely unrecorded. The National Archives, established on 1 June 1988, took over the functions previously performed by the State Paper Office (1702) and the Public Record Office of Ireland (1867). While we may not think many Jewish ancestors came from Ireland, remember some may have stopped in Ireland on their route to Canada or the United States. For the first time since World War II, New Zealand cancelled its planned March 8, 2011 census due to the recent Canterbury earthquake. Statistics Minister Maurice Williamson and Government Statistician Geoff Bascand said it would be an unfair burden to ask of New Zealanders at this time as well there has been extensive damage to Statistics New Zealand buildings. The Association of Professional Genealogists (APG) Public Discussion Bulletin Board recently were discussing the big three conferences (FGS, IAJGS and NGS). Below are two listings with the kudos on the IAJGS conferences stating they are the best and why! All of us who are involved with conferences- and that includes the attendees-- should be very proud. much more to do. NGS and FGS run many tracks over four days, but lecture topics are often repeated year after year. The Jewish conferences also run many tracks all day long for 5 and a half days and nights, and except for a few basic lectures none are repeats. One FGS president who attended IAJGS conferences for a couple of years commented to me that they were all of advanced levels. The Jewish conferences tend to be held in big cities, so look to attend one if you are near Washington, DC this summer (2011), or Paris, France (2012) or Boston (2013), or Jerusalem (2014). Check schedules, programs, hotels, etc. at www.iajgs.org. A few years ago I had to stop going to three conferences a year, first I cut out either NGS or FGS, then I had to cut out one more due to finances, but I have found ways to attend the Jewish one almost every year and hope I can attend for many, many years. I hope to return to NGS or FGS if possible, but mostly to see friends. As Craig says, these conferences are like family reunions to us in the professional community. The hands-down best conferences I get to go to are the annual International Association of Jewish Genealogy Societies (IAJGS) summer conferences, which had its 30th anniversary last summer in LA (and which we in Boston are proud to be the co-hosts of in 2013!). These events routinely boast a worldwide roster of speakers, usually including a substantial contingent of state archivists from many of the countries of eastern Europe and other speakers and researchers from pretty much everywhere in the Jewish diaspora. One of the highlights of the conferences are the abundance of sessions and special interest group meetings devoted to specific ancestral towns and/or regions. Last summer, on successive days I attended luncheons and gatherings with other landsleit" (folks whose ancestors were from the same neck of the woods, lit. "country people") from five of the towns that various of my great-grandparents came from; and I sat in on numerous lectures where the focus was the progress of one or another project to film, translate, transcribe, and/or digitize newly accessed records from state and regional archives in Belarus, Ukraine, Poland, Lithuania, Moravia, and Israel.